Ever meet someone, that appears to be very comfortable and skilled talking to people? They seem to be a natural communicator in any situation, including presenting to small and large groups. 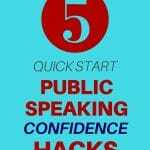 Read more here on how to be a better speaker and presenter. Do you wish that was you? Do you want to be the person that confidently and easily speaks in all scenarios, whether you are speaking one to one or in a group? It is absolutely possible because the ability is within us all when we take the right steps. 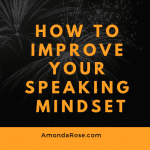 How to Be a Better Speaker: Training is EVERYTHING! No one becomes an expert in anything without attending some speaker training programs. Great Olympians train every day, for hours at a time. Artists paint over and over for sometimes years without getting it right. It is very rare when someone is born with a gift and doesn’t need any speaker training in that area. 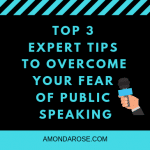 So that you know I am just like many, I also had horrific public speaking challenges including ineffective communication crutches like the ahs and ums and nervous laughter. If you want to learn how I overcame the ahs and ums, watch this oldy but goody Youtube Video. I created this when I first started my presentation coaching and speaker training business. I will tell you exactly what I did as a speaker to overcome the ahs and ums challenge in this video. I had gifts and talents when it came to speaking. However, I had to eliminate many weaknesses and increase my speaking skills significantly before people would see me as someone they wanted to listen to and learn from. If you can’t communicate your ideas in a way that people can hear your ideas, people won’t get the help they need. If your audience can’t personally experience the value of what you are talking about and your knowledge is worthless. To learn how to be a better speaker and to effectively communicate in a way that people can fully understand you and your message are key. It’s about getting people interested in what you have to say, enough to take you seriously. It is possible if you commit to speaker training and eliminate the belief that you can do it on your own. This is where speaker training comes in; you have to learn the tools needed to be an effective public speaker. You have to be willing to step outside your comfort zone and to embrace new ideas. To be open to stretching yourself beyond what you thought you could do and your public speaking limits. 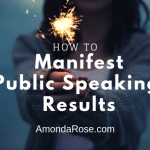 Remember, your goal as a speaker is always to ensure your audiences takes away value from your presentation and you communicate your ideas in a way that resonates with them. If you can do that as a speaker, then you did your job. If they come to you at the end of the presentation and say to you “I was hanging on your every word!”, then you really did a great job!